The latest meeting of the EACPT Executive has just finished in Geneva in advance of the next major EACPT biennial congress, which is to be held in this lakeside Swiss city in the summer of 2013. The next EACPT summer school will be held on 23rd to 25th August 2012 in Amsterdam, with an excellent range of topics for delegates interested in education in key principles relevant to clinical pharmacology. See the website for further information. At the next European Pharmacology Congress in Granada July 17th - 20th, 2012, EACPT Vice-President Professor Tabassome Simon from Paris will give the keynote EACPT lecture on the application of pharmacogenetic testing to cardiovascular therapeutics. 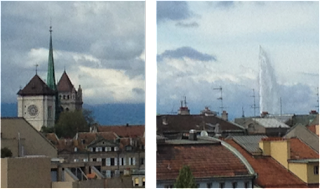 The EACPT is developing the programme for its next biennial congress, to be held in beautiful Geneva, 28th - 31st August in 2013. Key themes at the congress will range from bedside pharmacology for special patient groups to pharmacology & toxicology, and pharmacology and society. Specific topics will include advances in personalised diagnostics to improve the safety and effectiveness of medicines, updates on new biological approaches to ocular disease, therapeutics of cardiovascular, cancer and inflammatory disease, clinical trial design and regulation, and drug safety and toxicology.